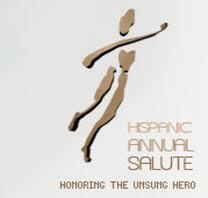 Hispanic Annual Salute Scholarship is open to Hispanic students in the state of Colorado who are active in Hispanic community events and who are planning to enroll full-time at a college or university. Students must maintain a grade point average of 2.5 or above and be high school seniors. In addition to the application, students must submit an essay in which they honor an adult they consider a hero. In addition to a scholarship, winners will have $500 donated to a charity chosen by the person being honored. Winning students will participate in the Hispanic Annual Salute (HAS) which honors outstanding adult and student volunteers throughout Colorado each year. HAS is a non-profit organization formed in 1980 and named after M.L. "Sam" Sandos. Sandos was a former Councilman for the city of Denver who started the organization to encourage volunteerism, support education and foster unity, cooperation and loyalty among Hispanics. Each year for 30 years the organization has awarded scholarships to deserving Hispanic students who show potential to be future leaders who will continue to support the goals of HAS and become Hispanic community leaders. The deadline for this scholarship is usually in NOVEMBER of each year, and the award amount is usually $2,000.